This topic contains advice on a range of brain disorders, including dementia, epilepsy, headaches and insomnia. 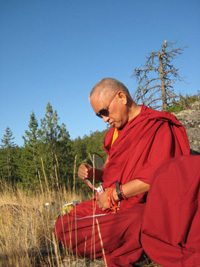 Rinpoche also offers advice and practices for neurological disorders, paralysis and stroke. Included is extensive advice for a man with ALS (Lou Gehrig's Disease).